Johannesburg - A top executive from Standard & Poor’s Global Ratings said on Thursday the agency is “very concerned” about the liquidity situation at state power utility Eskom, which it said was facing the "clear danger" of a debt default. The global ratings agency spoke out on the same day that Finance Minister Malusi Gigaba and Investec voiced concerns about Eskom's financial situation. 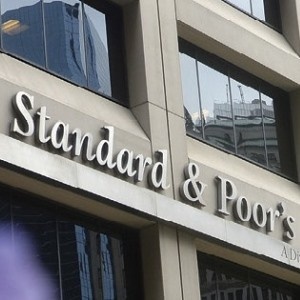 S&P, one of the big three global credit rating agencies, said addressing Eskom's liquidity, the group's lower than expected tariff hike increase, and general corporate governance concerns should be a priority for the country. S&P downgraded the power utility's long term credit ratings in November 2017. Konrad Reuss, the managing director for S&P in South Africa and sub-Saharan Africa, said Eskom faced the “clear and present danger" of a debt default. Speaking to the media on the sidelines of the Outlook for Africa 2018 conference, hosted by auditors Deloitte in Johannesburg, Reuss said Eskom’s liquidity was very tight. The rating agency's warnings came the same day as Investec chief economist Annabel Bishop identified Eskom as a risk to SA's economy. Meanwhile, at a business breakfast earlier in the day, Finance Minister Malusi Gigaba gave an assessment of the state power company that was more dire still than that of either S&P or Investec. Gigaba warned that, if Eskom's problems were not dealt with urgently, South Africa's entire economy could collapse by the time Team SA returned from the World Economic Forum in Davos, Switzerland. "There would be no currency, and no economy for the country if Eskom went belly-up," Gigaba warned. “Cyril Ramaphosa is now the new leader of the ANC, that is certainly news compared to the information we had at hand when we made the decision in November however in November," he said. "[However] we said whoever is going to win the ANC electrical elective conference is facing significant challenges, and it remains to be seen how that person will address the multiple challenges in the South African context."